Brook Macdonald is the man to watch this weekend. With the fastest time in practice and the fastest qualifying time today, he's proven that he can be consistent and quick on a track that has taken out more than its fair share of people and bikes. 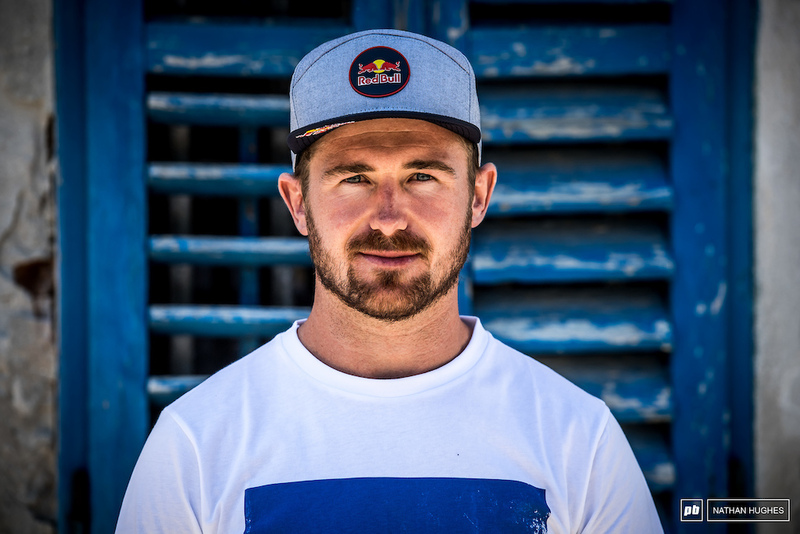 The 2009 Jr. World Champion is coming into Lošinj in top form. 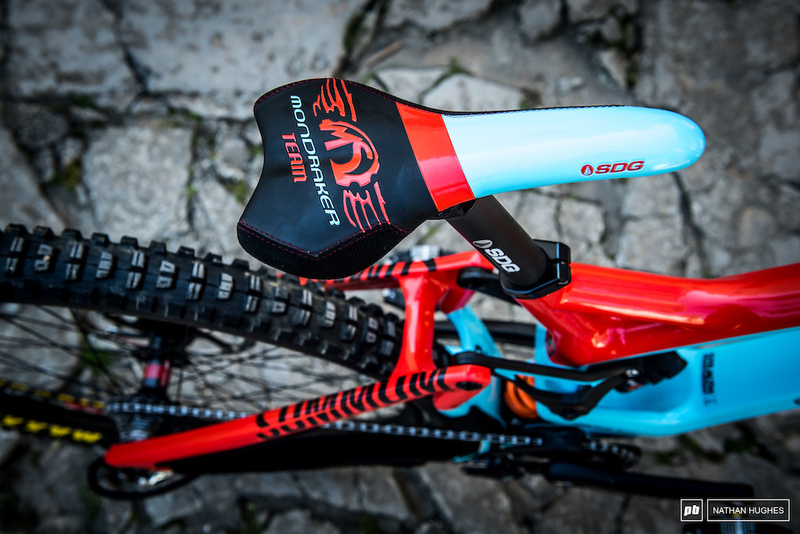 After five years with other teams, he's back with MS Mondraker where he has had his best World Cup result to date with a win at Val d' Isère in 2012. 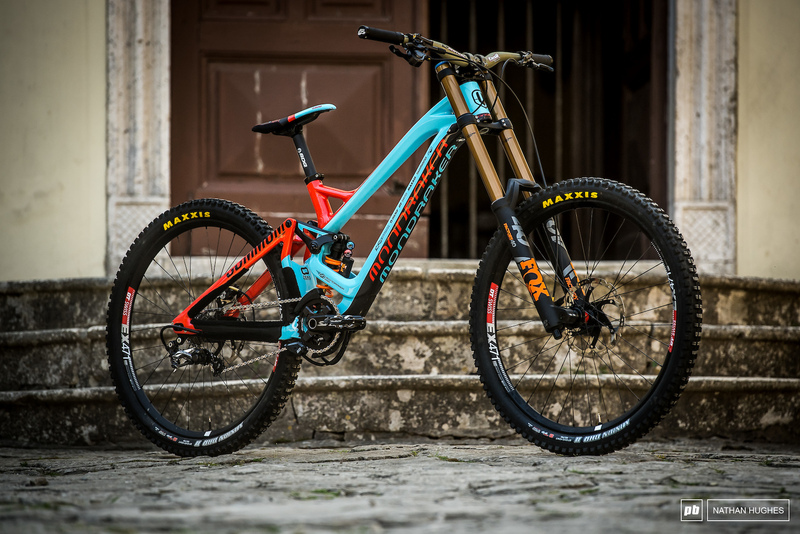 Brook's Mondraker Summum carbon is a production frame. 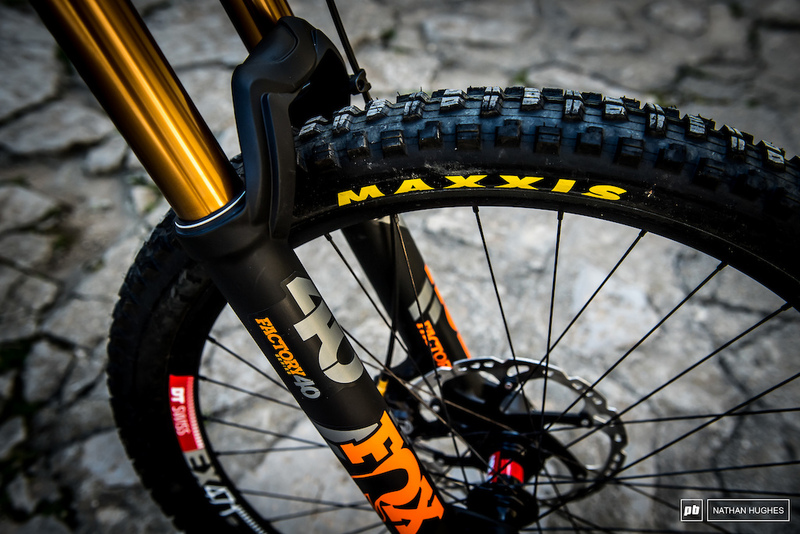 He rode this particular bike last week in Maribor for the first time and a few, but not many, changes have been made since his 3rd place finish at the iXS race. To tame the track at Lošinj, the suspension has been softened up a little on the front end and the rebound is slightly slower. As far as the cockpit position goes, it has remained the same for this weekend. With the course being as rough as it is, Brook's mechanic has had to make a few rim swaps and is meticulously checking the bike at the end of each run. The set up is obviously working so they don't see a need to make any other changes. 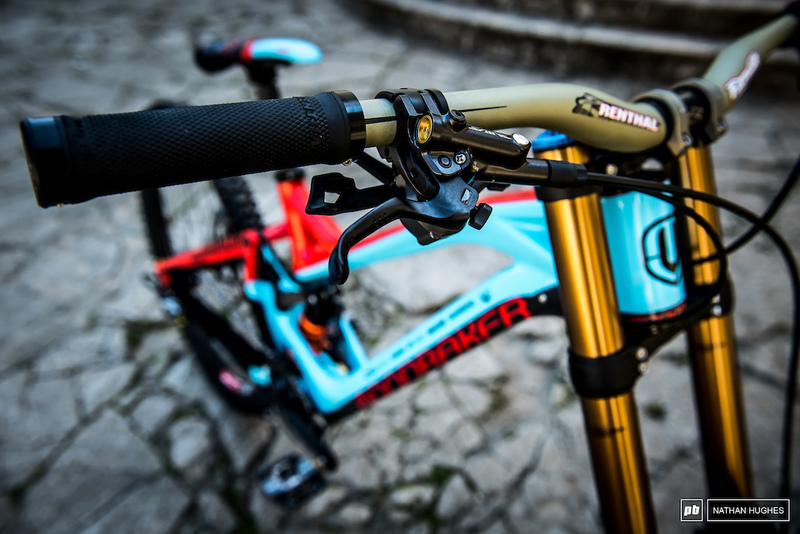 Renthal bars and Shimano controls. Brakes are bled every day to keep the absolute best feel at all times. 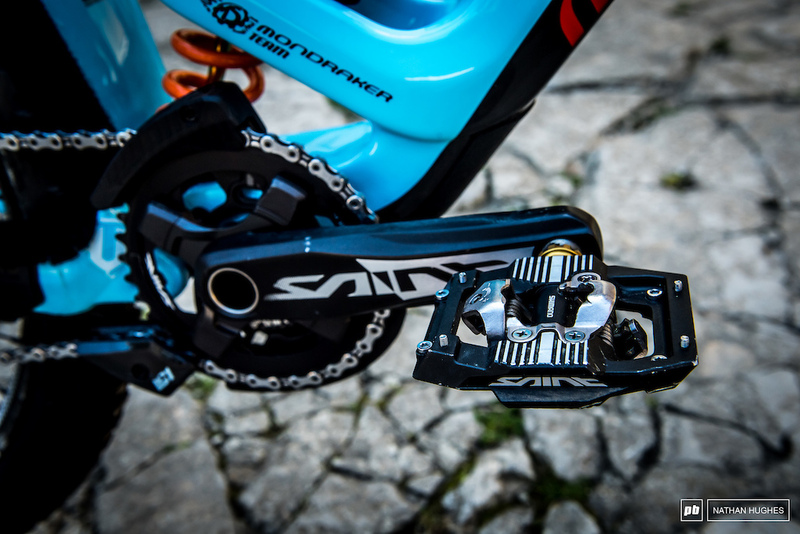 Shimano Saint drivetrain, pedals, and shoes. 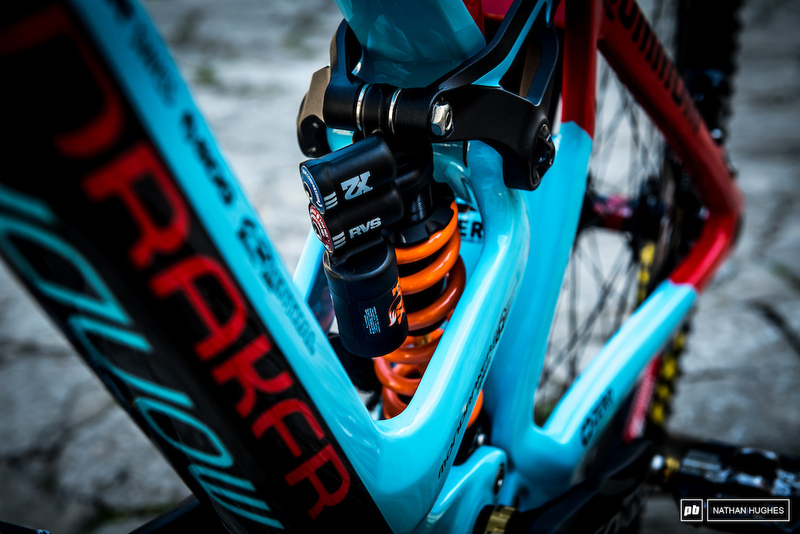 Fox Factory suspension. The fork is set up at 80 psi with 5 spacers. For tires, Brook is using the Maxxis Minion DHR II with no added protection in the way of core inserts. Pressures are 25 psi in the front and 28 psi in the back. Polished up, dialed in, and ready to go. Will we see Brook take the top spot aboard his Summum tomorrow? 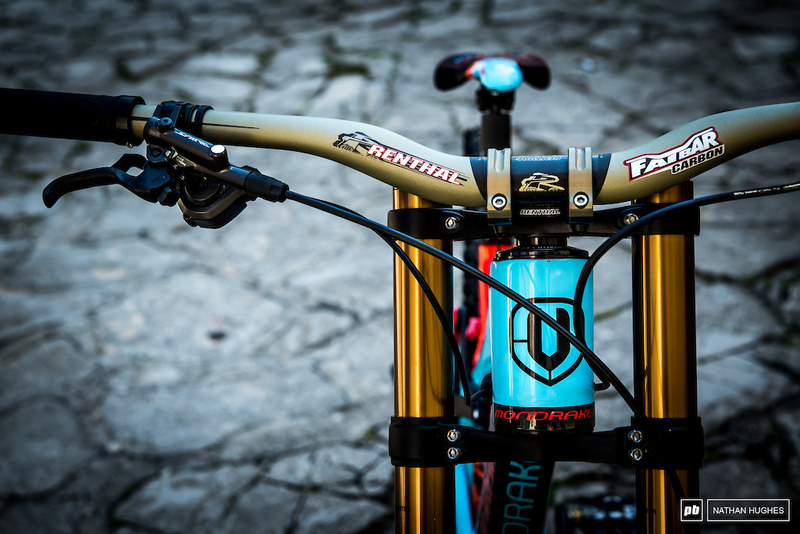 "Brakes are bled every day to keep the absolute best feel at all times." Oooooooo, need me a mechanic or to wake my lazy azz up a little earlier every morning. @richierocket: and they're Shimano... my guides would need that 2-3 times a day. if you’re tuning in live beware, new uci rules mean Brook will be running at 19th not last man down. Way to go you clipboard toting muppets. and i ride my bike at least 4 times a week. And not allowed to roll out of the gate last having earned the right by being fastest qualifier. Might not even see his run in the live(ish) feed tonight. Stupid. 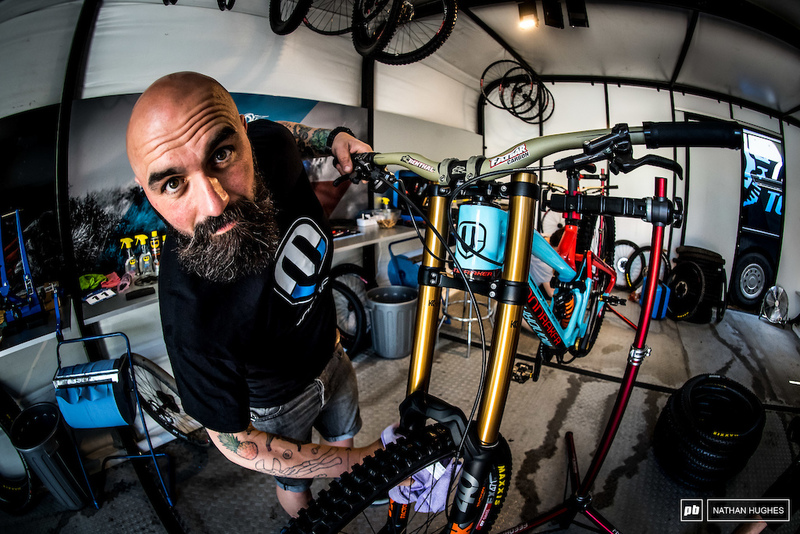 Brook has Scott Ian wrenching on his bike? He’s Among the Living, but Antisocial at the same time. That’s a name I haven’t read or heard since junior high-high school. Memories. @CaliCol: Time to get back on the Anthrax train! @ajayflex: the last album I purchased of theirs is Persistence of Time, from what I remember. You know you’ve reached the top when you can bleed your brakes every day. I like my Knipex pliers, but not enough to have them tattooed on my arm! True, a bit strange of a choice for you and I, but then again do you earn your living using them wrenching on WC bikes? @mykel: Yes, I’m a professional mechanic and earn my living with my tools. But I’m too much of a square to get tattoos. Haha. Good to see the kiwi lads up there! He is 26 btw, he and Stevie shared the same birthday, Nov 25th. No finned Ice Tech pads on those brakes. Probably doesn't listen to the incessant rattling noise. Don't blame him. Amazing bikes like these can weight 36lbs. 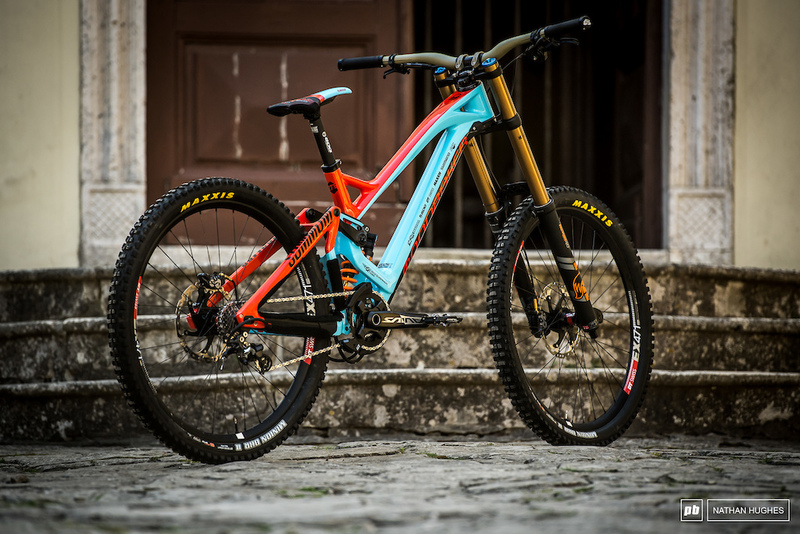 Fastest on a non-29er ???? I also run dual DHR's on generic width rims and 25psi front 28 rear...it works great for weekend warriors too! 5'5ft and rides a LG summum wow! Think it’s safe to say the summon may be the bulldogs ideal bike. They bleed the brakes every day!? I have some techtro’s and I’ve never bled them and they work just fine! 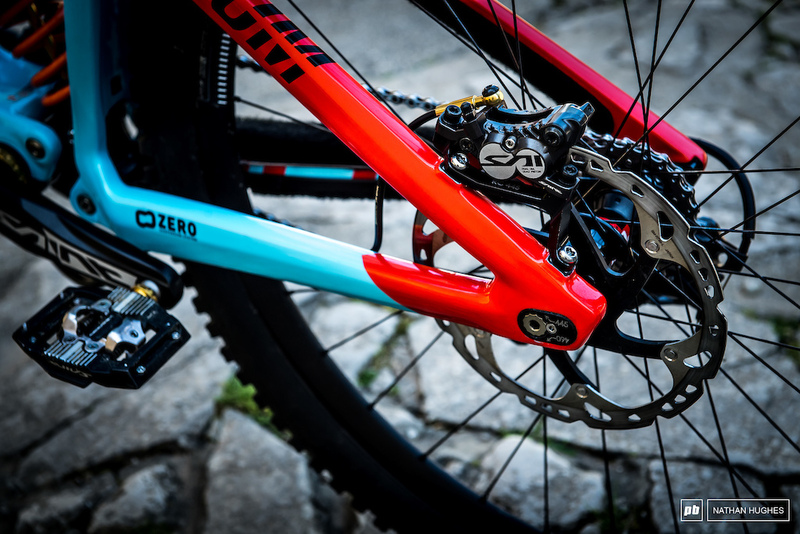 Just give SRAM time, they will lower the bar so the SRAM riders will need brake bleeds after every run. Rather bleed daily than replace pistons daily.